In an encore presentation, because the first class filled so quickly, Peggy will be teaching Freedom's Flag from Sew Kind of Wonderful's new book, Mini Wonderful Curves! In this 3-hour session, she will show you how to construct the blocks and layout the quilt. 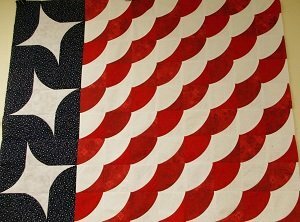 Click here for the Freedom's Flag supply sheet.